Think positive and positive things will happen. Gaurav is pursuing Electronics & Communications engineering and shares his wonderful experience of internship days. Looking back at the past month, my internship at NCTU (National Chiao Tung University), Taiwan, was undoubtedly priceless. Doing a Microsystem internship at NCTU was a very precious professional and personal experience for me. I learnt to take up tasks beyond my set out duties and responsibilities. The ambience created was what I have been in search for such a long time. I worked with intelligent and lovely individuals from different continents which allowed me to not only learn skills on the job but also learn their cultures and values. The internship at NCTU was a learning curve for every intern and it was no different for me too. Upon arrival I was given responsibility and was encouraged to take ownership of the tasks delegated to me. As an intern, I was given lot of opportunities and it felt that I was considered as seriously as the staff members. The diversity of tasks given to me widened my curiosity and developed my capacities to deal with challenging assignments. I used to have my work review twice a week so that my mentor can assess my progress regularly and enlighten me with the necessary advice and suggestions. They took my ideas and innovation very seriously and always welcomed them with utmost sincerity and genuineness. Working with such brainy people all around me was quite challenging at the beginning, but sooner or later I made my way and ran an extra mile to stand among the crowd. This internship was also a great way for me to discover Taiwan, the heart of Asia. Taiwanese culture is a curious combination of traditional Chinese practices, modern commercialism and technological ingenuity, capped off with a palpable Japanese flavour left over from decades of colonial rule. Putting some light on my mentor, he was the person who made me feel a strong sense of self; someone who offered me support, encouragement and profoundly united my head and my heart. I would be forever grateful to him who gave me the opportunity to envision my dreams in a rational manner. For sure, the number of interesting people I met during my internship at NCTU enriched me for my future career and life. I am grateful for bridging opportunities, those that connected me from where I stood and took me to a place I thought impossible. My internship acted as such a bridge during a critical time of my life, a time when I needed to test my skills and gain a deeper confidence in myself. During my tenure I was trusted to bring out innovation in the field of MEMS, expand and exchange feasible ideas, speak at conferences, facilitate leadership workshops and come up with a socially accepted solution that can ignite change locally and internationally. Truly, I felt connected to everything that was going on in the laboratory where the team dynamics were great. I was happy to have been given a lot of responsibility on projects because it really helped me to learn and grow as an instrumentation student. It has been a pleasure to work at NCTU and the internship has surpassed my highest expectations in regards to the variety of work performed, the knowledge gained and opportunities for interpersonal growth that I received. I have been, and will continue to recommend NCTU to my friends back home. I will definitely consider joining in NCTU as a Post Graduate student after I finish my UG degree. 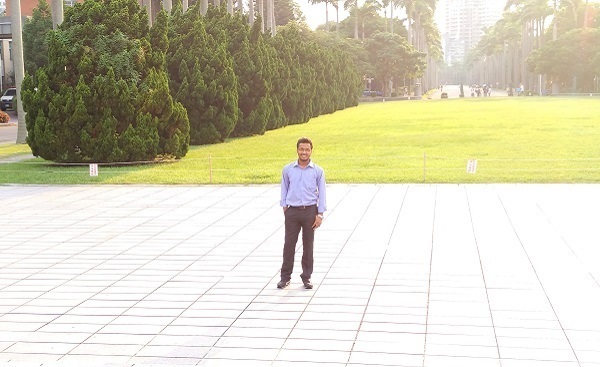 If Gaurav’s experience motivates you, you can check the latest international internships. Gaurav may not be following this post. Try contacting him on LinkedIn or Facebook. could you please tell me his full name so that I can find him on FB or linkedin?